Zrće beach - No.1. 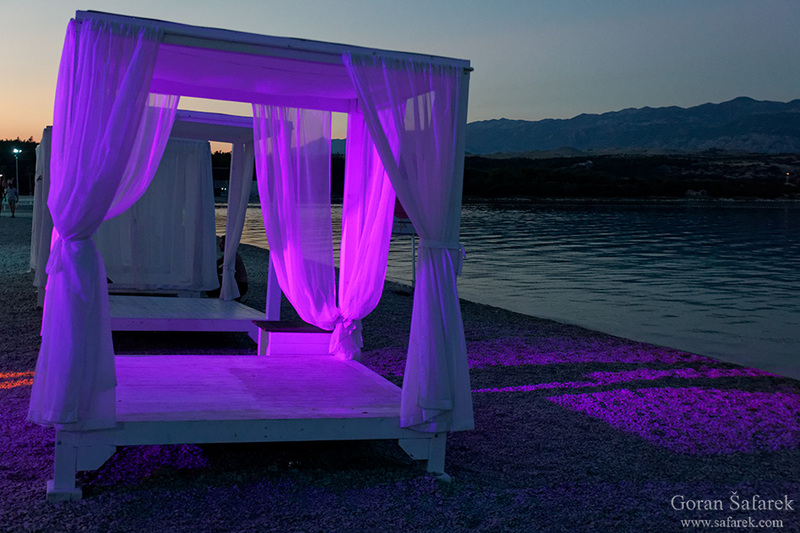 beach party location in Europe - Explore Croatia Become a Patron! 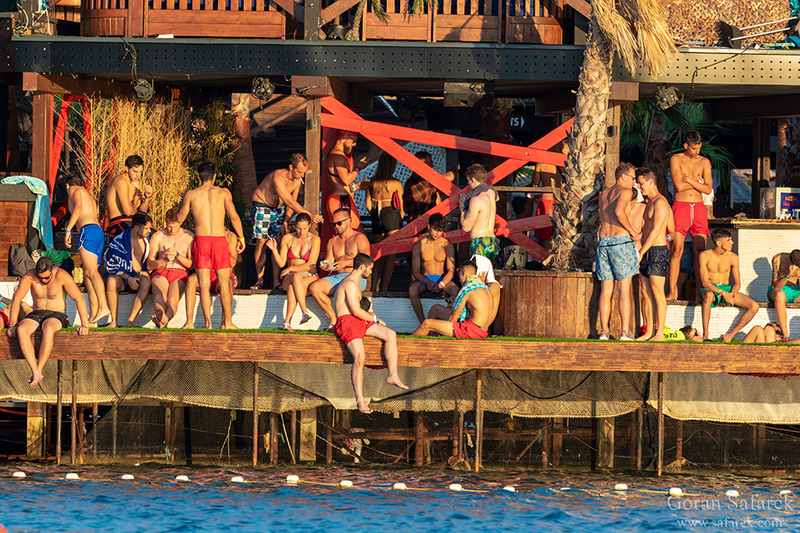 Zrće beach over the years has become synonym for young people parting at one of the most beautiful beaches with the world´s biggest DJ´s. 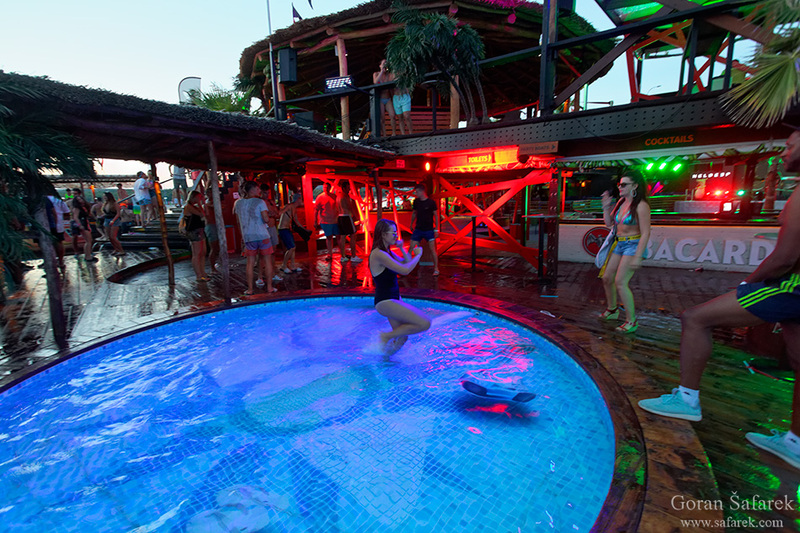 It is the best party location in Europe with more than one million people from all over the world visiting each summer. 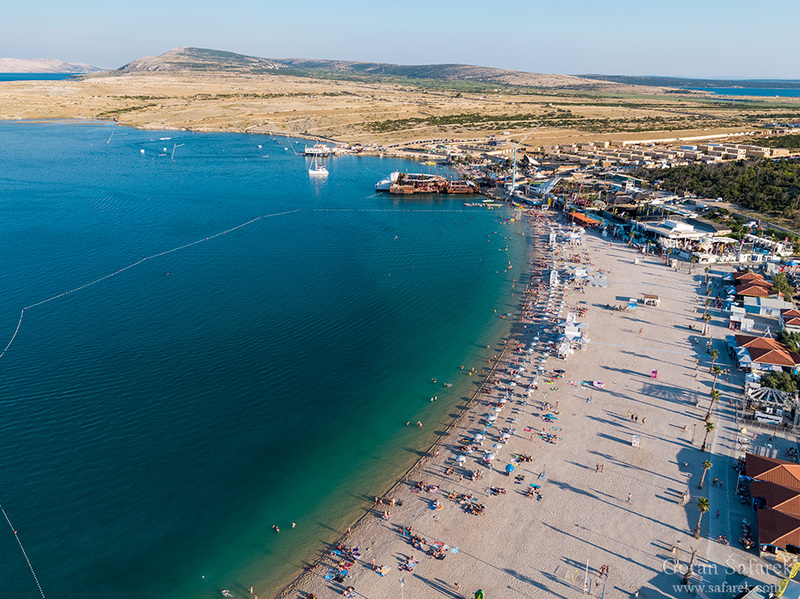 Zrće beach is part of Novalja town – situated on the island of Pag. It is located about 2km from the center of the town. 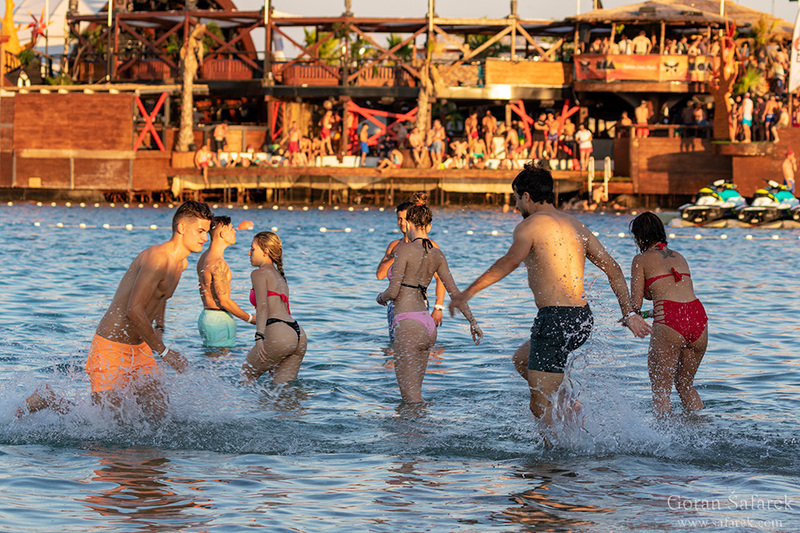 Despite of Zrće beach – Novalja´s main attraction and the fact that the town is attracting more and more young people looking for party it is still a place suitable for families. 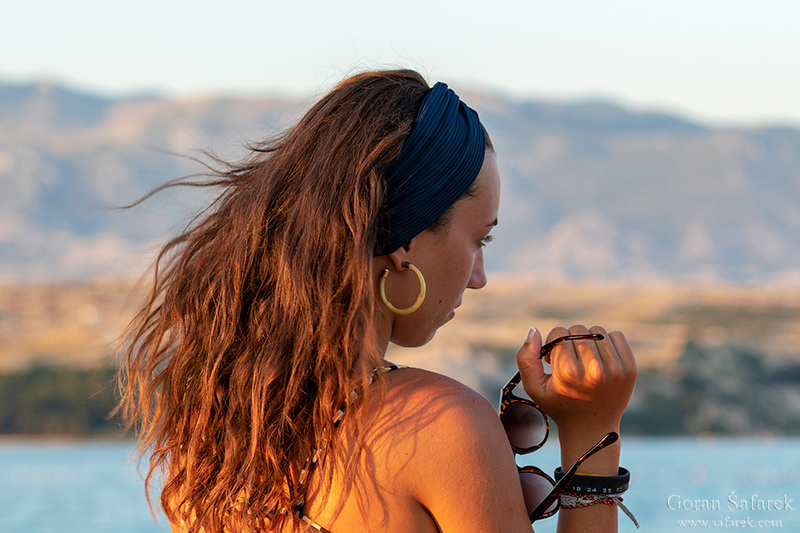 The Zrće beach itself is 1 km long treeless crescent of pebbles looking at the Velebit mountain in the mainland. 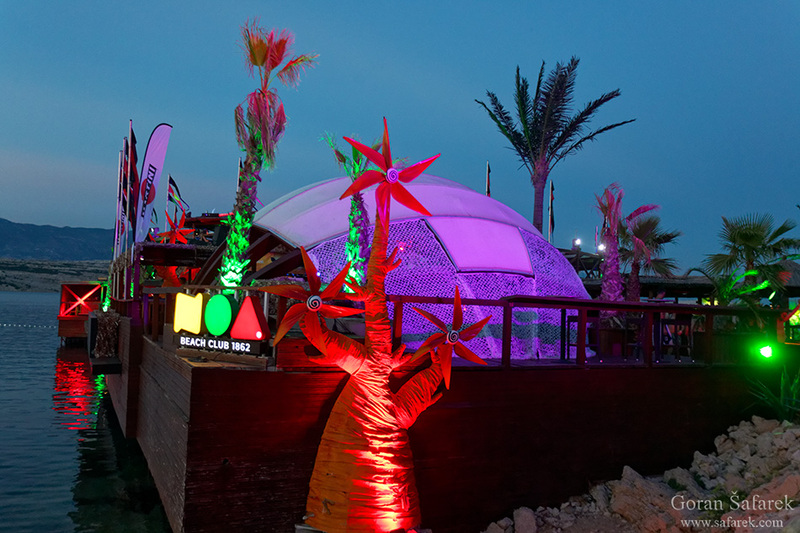 At the Zrće beach there are four main clubs – Noa, Papaya, Kalypso and Aquarius. But even they are the biggest and most popular between them you can find a whole bunch of smaller bars. 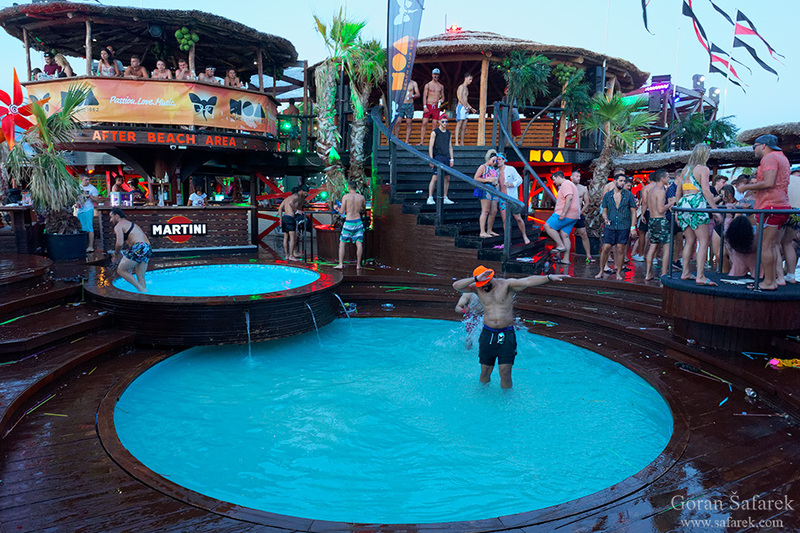 Zrće beach is the place for never ending party – no matter if you are there in the morning or late evening – there is always party during warm summer months. 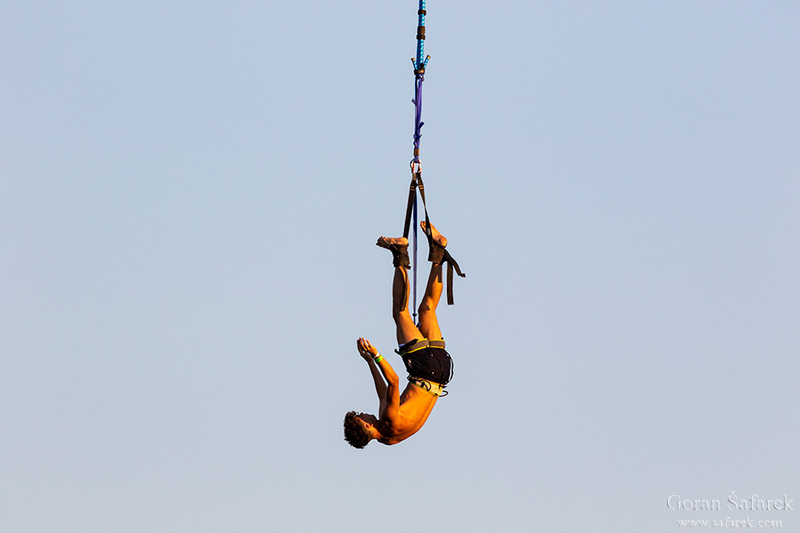 Music festivals are one of the reasons why Zrće became so popular among young people all over the world. There are noumerous festivals of various music genres that are happening every week during warm months from June to September. 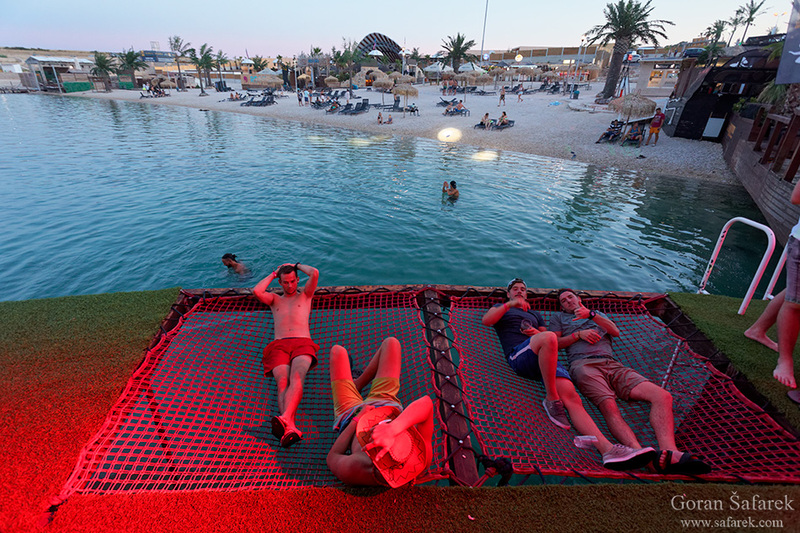 Besides partying all day and night you can enjoy in the water skiing, bungee jumping, beach football, volleyball, banana boating, “pedalina” riding… or you can just enjoy in the nice cocktail sunbathing at the beautifull pebble beach and take a swim at the cristal clear Adriatic sea. Bring wads of the cash, as prices are spiced! Change money before coming to Pag, as comissions are very high! Keep on alert for other inqonvinciences. Leave your valuables on safe somewhere elseand don’t worry when you party.